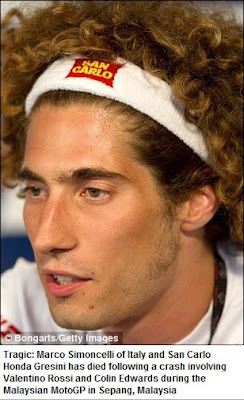 Italian motorcyclist Marco Simoncelli has been tragically killed in a crash during today's Malaysian Moto GP, race organisers have confirmed. 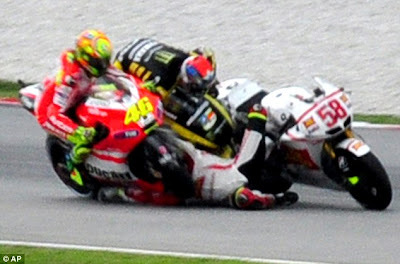 The Gresini Honda rider lost control of his bike on the second lap of the circuit in Sepang and appeared to be hit by Colin Edwards and then Valentino Rossi as he slid across the track. 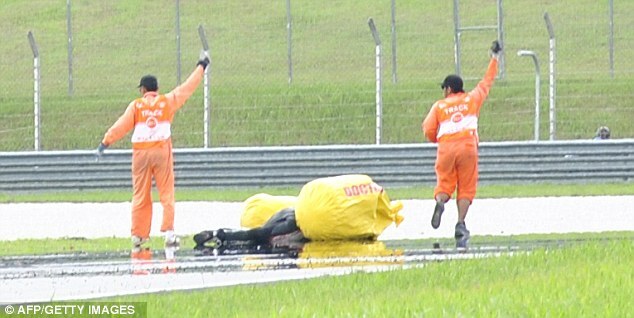 The 24-year-old's helmet came off in the collision and he was taken to the medical centre for treatment, but his injuries were too serious. 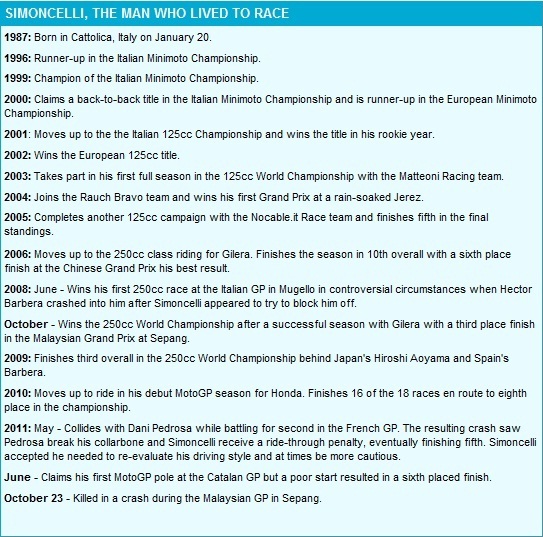 Newly-crowned champion Casey Stoner admitted watching the accident made him worried for Simoncelli, who was later pronounced dead. 'As soon as I saw the footage it just makes you sick inside,' the Australian told BBC2. 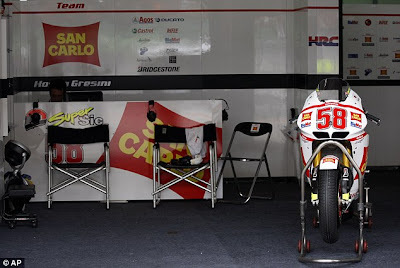 Tony Elias, Moto2 world champion, said he was praying the injuries to Simoncelli were not serious before learning the devastating news. 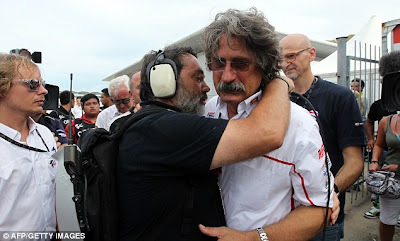 'We just hope Marco is OK - that's my wish,' he said. The organisers confirmed the race was cancelled, having halted it immediately after the fatal incident. 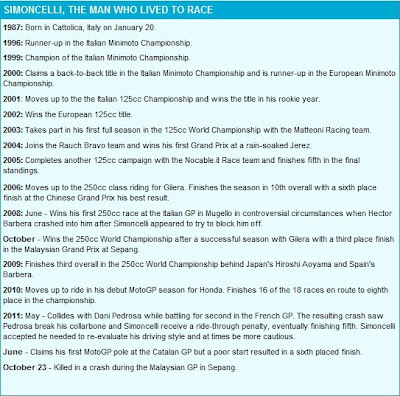 It was confirmed on MotoGP's official website that he died at 4.56pm local time. 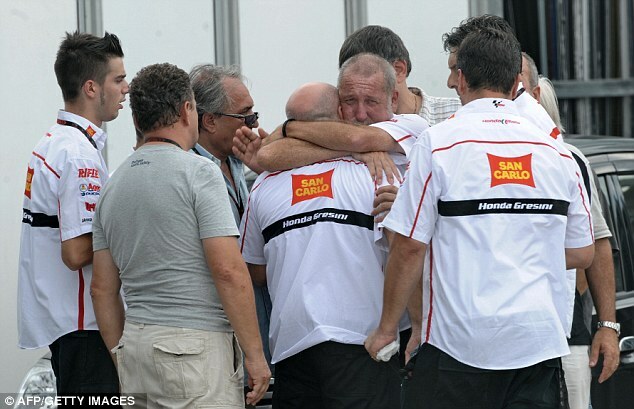 Tributes came in pouring in from his fellow riders soon after the incident. Last week British IndyCar racing driver Dan Wheldon died after he was catapulted helplessly into the air in a 225mph smash before landing on a barrier and suffering fatal head injuries. 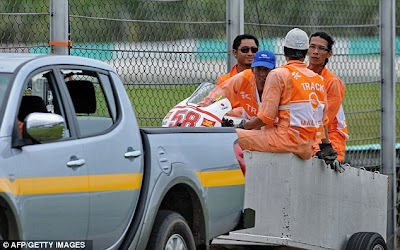 Just days earlier the father-of-two joined a number of other drivers in expressing the fears over the speed of cars and overcrowding on the oval-shaped track. But in a blog post, he had promised fans he would go out to win and put on a show of 'pure entertainment'.